This is your shoot and I want it to reflect who you are as a family. But here are a few tips and ideas on how to style your shoot. Coordination, not matching, will help your images look cohesive and modern. Instead of wearing all white t-shirts, try mixing colours, patterns and textures that have the same tone or work well together. Layering provides interest and personality – cardigans, shirts over t-shirts, scarves etc are all a great way to build up layers. Avoid logos or cartoon character tops, they date images and can draw the eye away from the face. 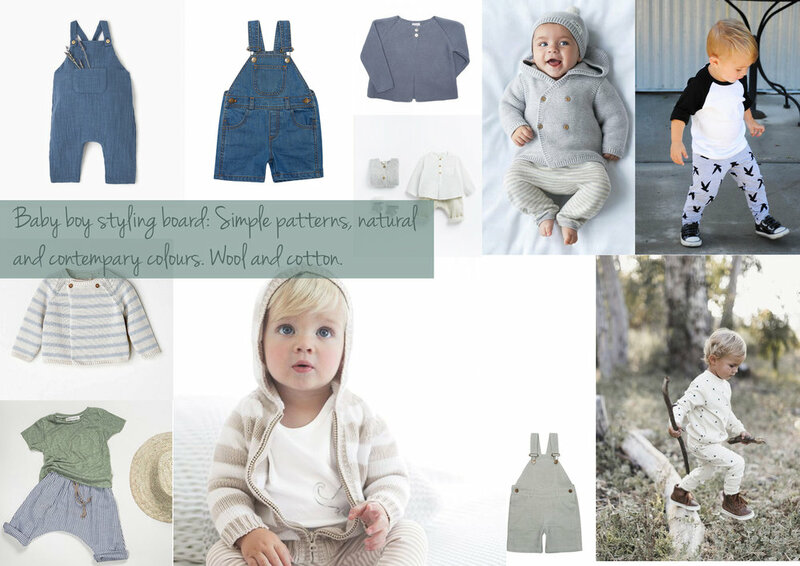 Avoid conventional baby pink and baby blue head to toe outfits for children opting for something more modern. Colours and patterns are great to include. Soft jewel tones, pastels and modern patterns (polka dots, stripes, florals etc) can add a little whimsy to images. Black or primary bright colours should be avoided as they absorb colour and can make you look washed out. 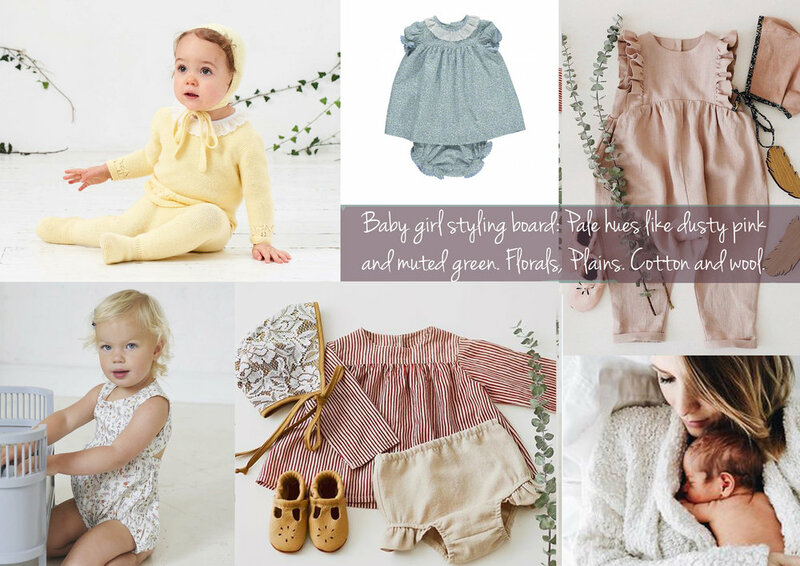 Vintage dusty pinks, soft bluey grays, muted greens, warm mustards and neutral whites & creams look beautiful in photographs. 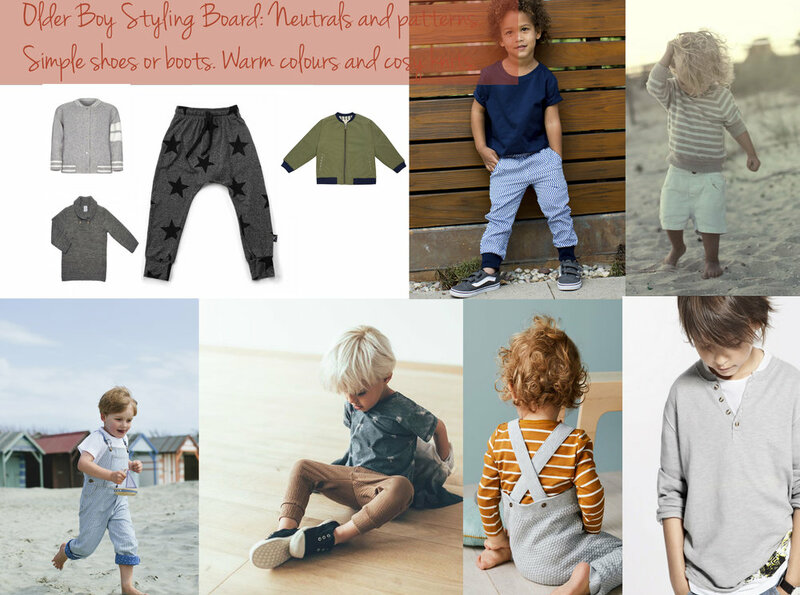 Check out www.bowsandarrowskids.com for children's clothes styling ideas. You can create excitement before I arrive by talking about our shoot on the days leading up. Discuss a reward for being good during the shoot. There’s nothing like a bit of bribery to get them playing ball. Bring/prepare snacks and drinks for breaks if we need them. Feed them before the shoot – if it coincides with a meal time try to bring forward that meal so they have already eaten and aren’t grouchy from hunger. Arrive a little earlier than the shoot kick off to let the kids stretch their legs and get excited so everyone is more relaxed when we start to shoot. Tell them to smile – kids respond to the word ‘smile’ with a cheesy photo face grin and not their natural beautiful beam. I’ll have lots of tricks up my sleeve to capture sincere and beautiful smiles. Please don't take photos during the session. It's an distraction for everyone involved. Please don't feed them during the shoot. A mouth full of banana is never a good look and we want them to stay clean and tidy. At least for a minute or two! Please don't worry if you feel your child is acting up. I’ve seen every tantrum in the book! We always get amazing pictures in the end. With patience, distraction techniques and some positive encouragement we’ll get them back into happy mood before you know it. • In order to make the most of your time with me and enable me to shoot undisrupted for your session it’s a good idea to have a real tidy up around the house in advance of the shoot. Hide any piles of paperwork or mess in drawers and cupboards, make sure all the dirty laundry is out of sight and the washing up is done and put away. It sounds obvious but you really want to create as clean and airy a space as possible for your shoot – you don’t want to see that pile of laundry in the background of your shots so hide it wherever you can think of. I also recommend you try to move anything unsightly out of the rooms we’ll shoot in – things like ironing boards, strollers, plastic toys, unpacked boxes, laptops, wires and cables etc. • Hide phones and i-pads – anything which your kids will want to do instead of have their picture taken. Get out some of their favourite prettiest toys, old rag dolls, wooden toys and lovely tea sets. Have those on standby in case we need them to create some fun shots. • I do a lot of shooting in the bedrooms – particularly the master. The main bed is a great place to get you all on in one place and get some fun relaxed family shots so make sure that space is clear and the bed is made. I recommend light preferably neutral bedding so as not to distract your eye to the duvet rather than the people on it.